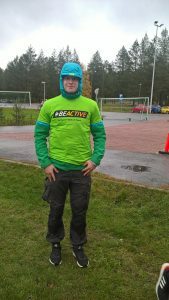 AMID project was presented in Lapland region, in European week of sport event. The project was linked with sports and health event of different age groups. The dissemination regarding sports covered all schools of the region and Lapland UAS Sports students were actively involved. AMID project has been successfully presented in international EAS2018 conference in Coimbra, Portugal in 13.-14. September 2018!